Figure 1.116. An example of ectrodactyly of both feet. Note that there are three toes on the right foot and three toes on the left foot with fusion of the first and second toes. The sole creases are poorly developed. Figure 1.117. 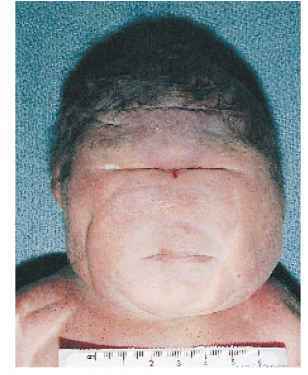 Microsyndactyly of die toes in an otherwise normal infant. Figure 1.118. 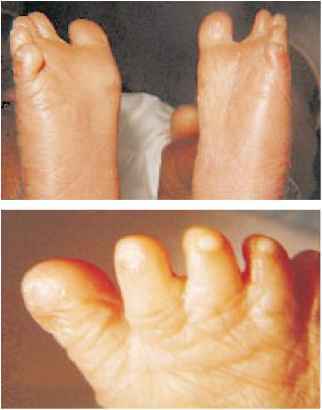 Polydactyly of toes of the right foot. Figure 1.119. Polydactyly of the toes of both feet.